Should I repair or replace my A/C unit? It’s not easy to know whether you should repair or replace your home’s cooling system, especially if you’re facing an emergency situation. For many people, though, it’s not as easy to stay cool and survive summer without air conditioning. Here are some considerations to keep in mind whether to replace or repair your A/C. 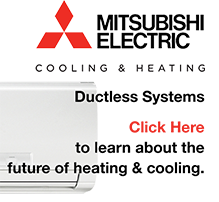 Substantial Cost Savings – If your system is more than 10 years old and repair costs are approaching 50% of the value of the system, a great deal of energy can be saved by upgrading to a newer, more efficient system. Depending on the Seasonal Energy Efficiency Ratio (SEER), upgrading could save you 20% to 40% on heating and cooling costs. Check out our blog on the benefits of SEER . Green Benefits –The U.S. Government and the Environmental Protection Agency (EPA) have mandated the phase-out of R-22 refrigerant by 2020 in an effort to protect the ozone. A unit that takes R-22 that develops a leak should probably be replaced. Once you get a leak, the compressor (which can cost up to $2,000) will usually go out eventually. Moving – If you are planning on moving out of your current home in the immediate future and your system is still working, the best thing you can do it talk to your real estate agent to determine whether either repair or replacement would be in your best interest. The 50% Rule – If the cost of repair vs. replacement of your system is less than half of its value and doesn’t need repairs often, the best bet is to keep the system you have. Maintenance – If your system is sitting on the fence neither old nor new some simple maintenance techniques may help prolong its lifespan and make replacement unnecessary. 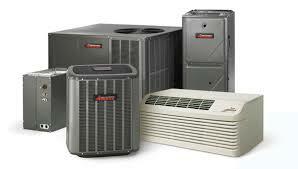 Call us and we see what we can do to get a long life of your unit.